She has followed us for many years and always been supportive of what we do. 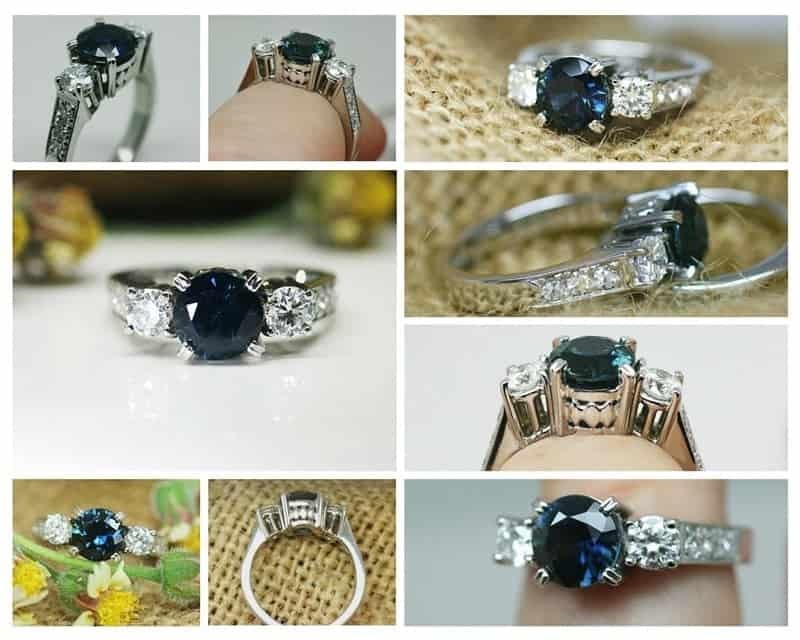 Apparently, she had long wished to have a sapphire ring of her own, and we were thrilled when she asked us to help her make that happen. She is now the proud owner of a very ‘recycled’ ring. 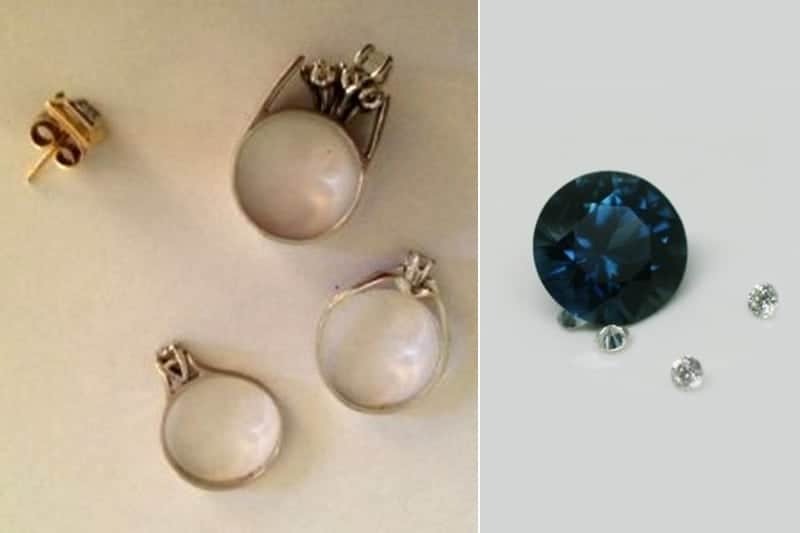 As is the way for many people, she had a small collection of ‘treasure’ – rings that had been gifted to her over the years, but weren’t really that wearable. So, she bundled them together and sent them to us for appraisal to see whether the stones and metal could be incorporated into a ring. 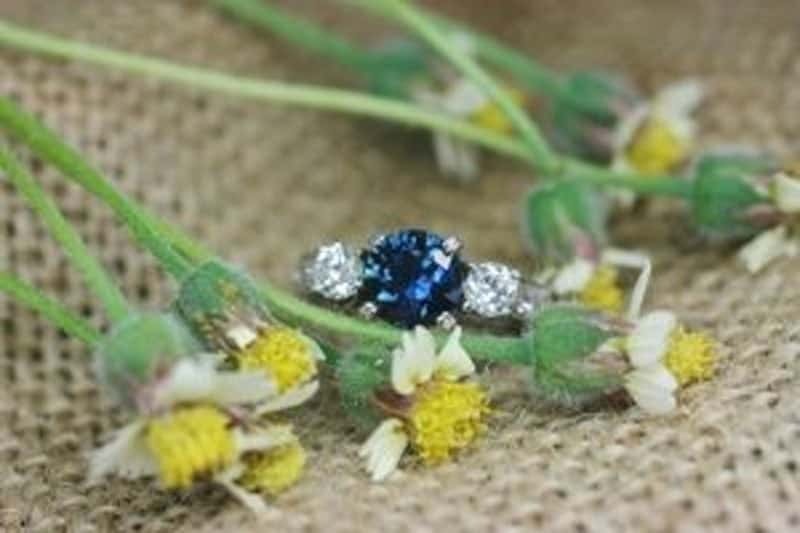 To the bundle we added a gorgeous 7mm Central Queensland round blue sapphire she purchased from us. The first step was to take everything to our valuer to see what we were dealing with. So often our ‘heirlooms’ don’t turn out to be quite what the owner hopes. In this case, all but one gem was a diamond. The odd one out was a clear quartz. That meant potentially all of the diamonds were usable in the piece. I say potentially, because there is always a chance that something unseen can lurk below the surface. In this collection, one of the diamonds was chipped (it was hidden under the setting). However, the rest were perfectly fine and could be considered for the project. Once the diamonds were removed from their settings, Chris (one of our jewellers) was able to melt down the gold for use in the ring. By the way when it when it comes to the alloys, solder (in handmade rings) and rhodium plating (in the case of white gold) and fillers with cast rings, it’s common to end up with far less usable gold than you might expect. The other thing is there’s always a risk that the gold will crack in fabrication. For this reason, we don’t recommend anything less than 18 carat gold as a starting point. Next came the design phase. This started with a bit of a discussion about what she was looking for. From there, the search was on to find as many images as possible to sort out what was and wasn’t liked. Despite protestations of having ‘no imagination’, once this part of the process is underway (like all of our customers), this lovely lady discovered she had a better idea of what she did and didn’t like than she had previously thought. Designing your own ring really does focus the thoughts. From there, the fine tuning began. In this case, I decided to work with Chris during the design process and have him put together some CAD renders based on the elements the customer liked. Being able to ‘see’ what the finished ring could look like is very helpful in the process. It isn’t always necessary (and it isn’t free), but we do offer it. 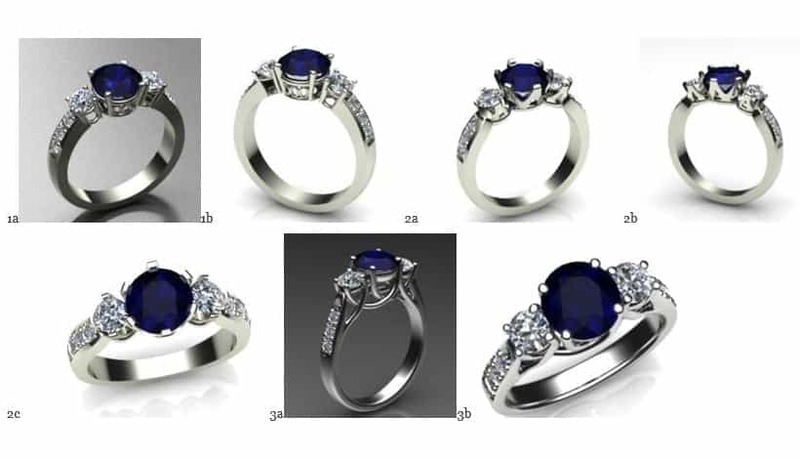 The main sapphire, two reasonable sized diamonds (that were close enough a match to use as side stones) and six matched smaller diamonds to add to the shoulders, plus 18 carat white gold from the old rings. Number one was the clear favourite, and so the manufacturing began. After an email exchange that lasted a couple of months, lots of back and forth with images and CAD renders and, most importantly, Chris’ expert hand in his workshop, this is the final result. We are all delighted with how it turned out, most especially our customer. If you would like to design your own masterpiece – either an engagement or ‘recycled’ ring, scroll down to see about downloading a copy of our guide to engagement ring design. If that seems all too hard, simply contact us and we will be delighted to help you. We handmake all of our rings in Australia using recycled metals and ethically sourced diamonds and gemstones. Designing one’s own special piece of jewellery gives one such a sense of pride and achievement. Thank you Melinda and your team for your inspiration and patience in helping me design a unique piece of personal history. It was our pleasure Elisabeth. Thank you for your kind words.